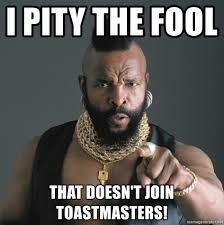 Hello, Sandy Springs Toastmasters! Please confirm your availability for 09/27/18 as soon as possible by replying to all. Bud Otto, our Sergeant at Arms, opened the meeting with the Pledge of Allegiance. Our Vice President of Education, Una Richards, gave opening remarks and welcomed Theresa Marquez, DTM, our district’s pathways guide to the podium. Theresa gave an in-depth overview of how to navigate pathways. At the end of her presentation, there was a question and answer portion where Theresa made sure to answer everyone’s questions concerning pathways. The group took a short coffee break and enjoyed bagels with cream cheese and muffins brought by Una and Anastasia. The meeting reconvened after a few minutes. There were no scheduled speeches because we had anticipated that the pathways presentation was going to take most of the meeting time. Una went over the roles for next week and then the meeting was adjourned.